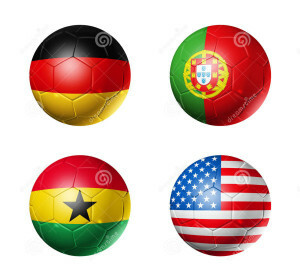 Group G pits two of the richest countries in the world, the US and Germany, against one of the poorest, Ghana. On that note we look at the gross inequalities that can be found in the nations that make up Group G.
Dr. Sabine Schiffer, head of the Media Responsibility Institute, argues that Islamophobia is very widespread in Germany and that attacks on mosques and Muslim women wearing headscarves are not covered by the media. Germany elected its first Nazi MEP in the 2014 European Parliamentary Elections. More than half of Germany’s privately-owned assets are held by the country’s richest 10%. Meanwhile, less than 1% is owned by the bottom 50% of households, according to a German government report published in 2012. 40% of full-time employees suffered a decline in wages once inflation was factored in between 2010 and 2013. In March 2014 thousands of German airport struck, around a third of all flights were cancelled. The walkout is part of wider industrial action by public sector workers including local transport staff and child carers. Trade unions want pay rises of 3.5 percent plus an extra 100 euros ($140) per month for about 2.1 million federal and municipal public sector workers. The government is now threatening to ban strikes in “sensitive” industries. “Violence and unlawful killings by the police and security forces were reported. In June, the UN Committee against Torture expressed concern about impunity for police brutality and excessive use of force, and about the authorities’ admission that torture in detention centres was likely. Four people, including a woman, were sentenced to be hanged for murder. At the end of the year, 138 people were on death row, including four women. No executions were carried out, and in December the Constitutional Review Commission recommended that the death penalty be abolished. Water Aid UK report. Over 3,000 children under five years old die annually from poor water and sanitation in Ghana. 87% don’t have access to improved sanitation in Ghana. 3.5 million people in Ghana lack access to an improved water source. 18.25% of Ghana’s population live in extreme poverty. A general strike of public and private sector workers demanding safe, clean water and cheaper electricity rocked the government last October. Portugal has one of Europe’s widest gaps between rich and poor. Average salaries in Portugal were €14,662 compared with an OECD average of €17,917, but there is a great gap in wages as the richest 20% earned six times more than the poorest 20%. Adult unemployment stands at 9.6% and the youth joblessness rate is almost three times as high. Only 30% of adults between 25 and 64 years of age in Portugal have completed secondary school, well below the OECD average of 74%, the report said. 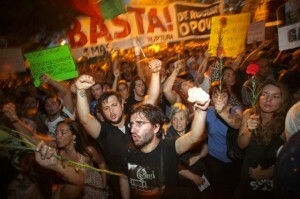 Here is a report from news agency Reuters, about Portugal’s one day general strike in 2013. “Portuguese trade unions staged a one-day general strike on Thursday against relentless austerity which has deepened the worst economic slump since the 1970s, but support outside the public transport sector was patchy and the government seemed unlikely to back down. “Previous strikes and protests about the tough terms of Portugal’s 78 billion euro ($100 billion) bailout by the European Union and IMF in 2011 have been largely non-violent, unlike unrest in Greece or more recently Brazil and Turkey. “Thursday’s action also got off to a peaceful start. Nevertheless, public transport came to a virtual standstill as Portuguese, some too hard up to join the strike, expressed their anger and despair about policies which have helped to push unemployment to record levels. “‘It’s simple – if I don’t work, I don’t eat. The government disgusts me, the austerity is stifling us, but protesting won’t feed my family,’ said Augusto Nery, a 53 year old electrician. “Unions hope the fourth general strike in two years will force the government to boost economic growth and ease the belt-tightening including the sharpest tax increases in living memory this year. “Trains were not running, while metro and ferry services halted in Lisbon. Many bus routes were suspended, forcing those who chose to go to work into longer, alternative journeys that were served by fewer buses than usual. “Refuse removal was stopped in many cities and towns, town halls were shut and the fishing fleet in the southern Algarve region stayed in port. The state-owned airline TAP has warned of possible disruption but not canceled any flights so far. The list below covers only domestic civil rights issues. 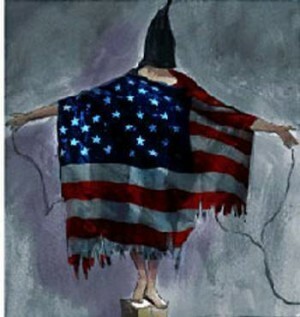 But we must never forget US foreign policy, its invasions and occupations of Iraq and Afghanistan, the US bombing raids in at least three other countries, “counter-insurgency” operations and secret rendition missions. As of May 2014, nearly four years after President Obama’s deadline to close the Guantánamo detention facility, 149 men were still held at the base. The Bureau of Investigative Journalists reports that from June 2004 through mid-September 2012, (the only available data) indicates that US drone strikes killed up to 3,325 people in Pakistan, of whom up to 881 were civilians, including 176 children. TBIJ reports that these strikes also injured up 1,362 more individuals. The United States of America — the land of opportunity — has the fourth most uneven income distribution in the developed world. The Sadoff Investment Research firm of Wisconsin has released the results of a recent report. According to its findings, the top 1% of wage-earning households in the US were reaping $1,264,065 in 2012 — around 41 times as much as the average income for all wage-earners, who pulled in a relatively meager $30,997 that year. The greatest demonstration of inequality is most evident in the income generated not by the top 1% though, but by the sliver of the US population that makes more than the other 99.9% of the country. According to Sadoff’s research, the top 0.1% of Americans earned around $6,373,782 during that same 12-month span — around 206 times what the average family in the US earned. US government statistics show over 40 million Americans, including 16,000,000 children, struggling to obtain basic necessities. The Census Bureau nationwide survey conducted during 2007 and 2011, which encompasses the recession and the immediate aftermath, showed that 43 million Americans — or slightly more than 14% — lived in poverty. But not every group was impacted equally. The poverty rate was 27% for Native Americans, 26% for African Americans and 23% for Hispanic people. Among whites and Asians, less than 12% were poor. The federal threshold for poverty is about $11,500 in annual income for an individual and about $23,000 for a family of four. American workers and the poor have a fine tradition of resisting their rulers. The US was the home of the sit down strike, the civil rights movement, Martin Luther King, Malcolm X and they did have a revolution to kick out the Brits and a civil war to end slavery.